Moravske Toplice is a settlement in the Municipality of Moravske Toplice in the Prekmurje region of Slovenia. It is the seat of the municipality.It is best known as for its spa. The name of the settlement was changed from Moravci to Moravske Toplice in 1983. Moravske Toplice is well known for its large water park and for black thermal mineral water, which is understood to have beneficial effects on health. 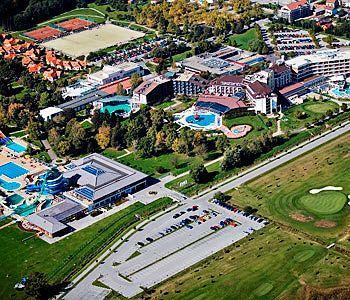 It is also one of Slovenia's largest health resorts with one of the largest water parks in this part of Europe.